I never thought I would ever visit Mysore without going to the main city. In my recent trip, I did not even get a glimpse of Mysore Palace! But what I saw this time, I’ve never seen before. The first place I visited was Prakruti Ayurveda Pratishtana. This is an Ayurvedic training, healthcare and research institute, which I’ve been hearing about from Dr Bharath Srinivasan for years. He is a trustee there and has often told me about the work being done by the Ayurvedic doctors at the institute. I had always wanted to see for myself. We (I took my family along) reached Mysuru tired and hungry. A lovely meal cooked in accordance with Ayurvedic principles was awaiting us. We stayed in a house with several rooms upstairs and downstairs. “Where is the hospital?” I asked. To my surprise, I was told that the house itself was used to treat patients in a homely atmosphere. There were other buildings nearby, which were also basically bungalows. It felt strange to be in a “hospital” where there were no gadgets and tubes, digital monitors and stethoscopes. What I liked most was that no bombastic claims were made about curing diseases like cancer. Instead, Dr Prasanna explained how his team of Ayurvedic doctors collaborated with mainstream medical doctors in order to get the best outcomes. There had been some extreme cases such as kidney failure which had not been successful unlike the cases of BP, diabetes, joint pain etc. Patients with BP often continued with their regular medicines and were gradually weaned away with the help of Ayurveda. He told us about the case of a person with fractured ribs who had been advised rest and medication by mainstream doctors. 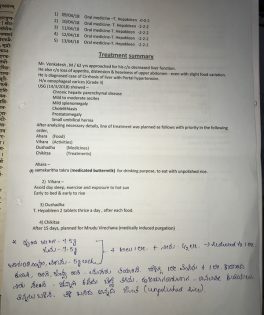 When the patient came under Dr Prasanna’s Ayurvedic care, he was given specific food, which is mentioned in Ayurvedic texts for healing from inside, and externally a variety of “lepas” were applied. Three weeks later, when the patient went for an X-ray to his orthopaedist, the latter was astonished that there was as much improvement as there should have been in 6 weeks. “What have you done?” that doctor had asked the patient in amazement. 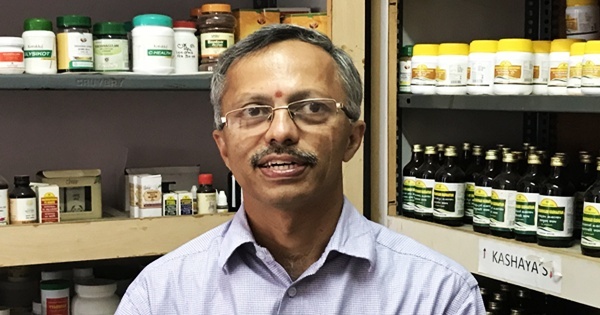 “Today many mainstream doctors send their patients to us for Panchakarma treatment before they start their regular treatment,” said Dr Prasanna. In the past 20 years, the Pratishtan has treated 5,000 patients with diabetes, joint disorder, hypertension, skin diseases and gynae disorders forming the bulk of the cases while there have been many successes in digestive, cardiac, kidney and other diseases. Treatment and research are carried out at the same time. One thing that Dr Prasanna emphasized upon is the need for a quantum upgrade in hospital facilities in order to increase the acceptance of Ayurveda among the general public. “Unless we equip and upgrade our hospitals with better patient facilities and more importantly with the latest technology and equipment, we will not be able to attract more patients who regard Ayurveda as an option,” he said. Patients do not feel comfortable in hospitals which do not use the latest technologies. Accordingly, the Pratishtan is looking for funding to establish an Ayurvedic Intensive and Emergency Care Unit, a Maternity Care and Labour Ward, an Operation Theatre, a Radiology and Ultrasound Unit among other things. Several crores of rupees are needed. It touched me that the doctor had also been thinking of Army Jawans and other armymen who were not of officer status. The high-ranked officers have no problem accessing various treatment options. But what about the lower level military personnel? He has been running around trying to get the Indian army to send patients desirous of Ayurvedic treatment options to them so that they could be treated free of cost. Personally, I felt like handing over a million dollar cheque to the Pratishtan. The combination of expertise, confidence and humility that I could sense in Dr Prasanna told me that the money would be used very effectively. It was one of those days I wished I was a successful banker in Wall Street! But I gave what I could. I really hope some people reading this can contribute to an important initiative. Ayurveda needs to be mainstreamed. It was mainstream until the British began to systematically downgrade it and deny it state funding during the colonial era. The current medical care systems worldwide which are over-priced, largely ineffective and dictated to by the pharma industry cannot be allowed to be the norm. At least India has an alternative. Please visit the website of Prakruti Ayurveda Pratishtana (http://prakruthiayurveda.org) to access information about the institute. 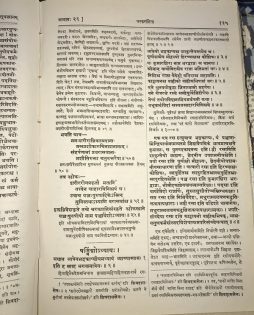 Singapore-based Sahana Singh is author of “The Educational Heritage of Ancient India - How an Ecosystem of Learning Was Laid to Waste” and member of Houston-based think tank Indian History Awareness and Research (IHAR). She writes on water management, Indian history and current affairs for print and online media.